A public meeting in Solihull in April 1740 proposed that a workhouse should be set up in the town. Initially, it was intended to rent premises but the house found for this purpose proved to be in need of substantial repairs. It was then decided to build a new workhouse. This was erected in 1741-2 on a site at the north side of Warwick Road by local builder Thomas Sandal. It had two storeys, plus attics, and comprised a kitchen, pantry, long room, store room, brewhouse, two cellars, two chambers over the kitchen, two chambers over the brewhouse, a chamber over the long room, infirmary, and garrets. The long room, where the inmates spent their daytime, was furnished with tables, chairs, forms, and three spinning wheels Apart from housework, inmates performed spinning and carding wool or linen, gardening, and brewing. The first Master, in December 1742, was Joseph Hammond who received a salary of £25 per annum. A parliamentary report of 1777 recorded that the Solihull workhouse could accommodate up to 60 inmates. The workhouse building no longer exists and a later building, currently used as offices, occupies the site at what is now 691-693 Warwick Road. Yardley's workhouse was erected in 1808 at the corner of Holder Road and Coventry Road. Its construction cost £537 14s. and the builder was James Smith of New Street. 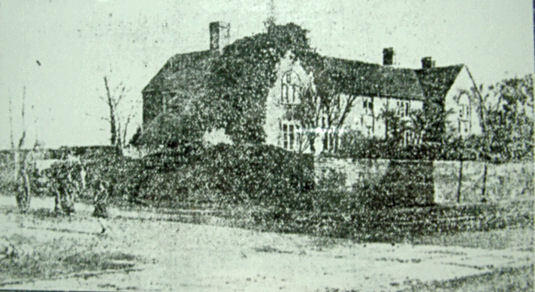 Tanworth-in-Arden had a parish workhouse at the south of St Mary Magdalene's Church. Tanworth former parish workhouse, 2007. Warwickshire: Baddesley Clinton, Barston, Elmdon, Knowle (2), Lapworth, Nuthurst, Packwood, Solihull (4), Tanworth (3), Temple Balsall (2). The population falling within the union at the 1831 census had been 11,433 — ranging from Baddesley Clinton (population 110) to Solihull (2,878). The average annual poor-rate expenditure for the period 1834-36 had been £11,433. Also, around 1900, a two-storey block for casuals (tramps) was added to the south of the site. This provided accommodation for males on the ground floor, and for females on the first floor. The sleeping quarters were mostly in the form of hammocks. The ground floor also included stone-breaking cells in which male casuals broke up stones into pieces small enough to pass through a metal grid to the outside, where they were collected and sold for road-making. Solihull casuals' block front elevation. Solihull casuals' block ground floor plan. From 1904, to protect them from disadvantage in later life, the birth certificates for those born in the workhouse gave its address just as 1 Lode Lane, Solihull. 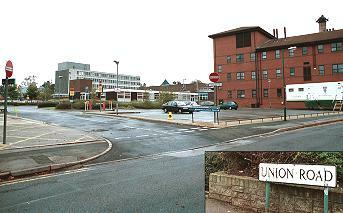 The site subsequently became Solihull Hospital. All the old workhouse buildings have now been completely demolished. The only reminder of the workhouse is now the road sign near where it once stood. 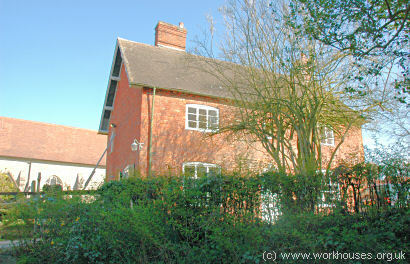 By the early 1900s, the Solihull Union had established a children's home at The Woodlands, Friday Lane, Barston. In 1908, it could accommodate 12 children, with Miss Jeannie Northam as Foster Mother. The home appears to have closed by the 1920s. The original building no longer exists. Warwickshire County Record Office, Priory Park, Cape Road, Warwick CV34 4JS. Few records survive. Holdings include: Guardians' minute books (1836-1930); Accounts (1839-1930); etc.